Chinese New Year for Kids Around the World! Celebrating Chinese New Year is for kids of all ages (and adults for that matter) a most anticipated event. There are many Traditions which have been passed on from generation to generation. Together with the time-honored Dragon Parades, the energetic Lion Dances, the fireworks, the red envelopes, shiny red lanterns... communities around the world go all out to celebrate the New Year. For kids, this is a magical time of lively fairs, carnivals, parades... the snacks, the games, the shows, the firecrackers... and what's best, chances are, there is one of these fantastic celebrations near you. Chinese communities all around the world get together and celebrate the most important of festivals. Organizers vary from city to city, inquire at your local Chinese community, college or university Asian association, even the local libraries and Chinese restaurants. Here are some of the most colorful celebrations around the world! Beijing goes all out for the Spring Festival with an array of Temple Fair celebrations taking place throughout the city and fireworks galore that lit up the city skies on New Year's Eve. Definitely the best way to experience the fantastic festive atmosphere that envelopes the city. 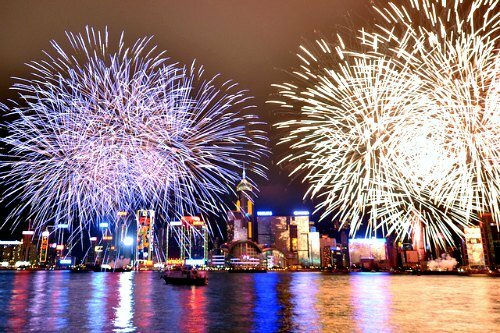 Every year, Hong Kong throws one of the biggest parties to welcome the New Year. Preparations start way ahead the big day at the colorful Flower markets throughout the city, then two of the city's signature events take place: the Hong Kong Chinese New Year Night Parade on New Year's Day and the Chinese New Year Fireworks over Victoria Harbour on the second day of the New Year. 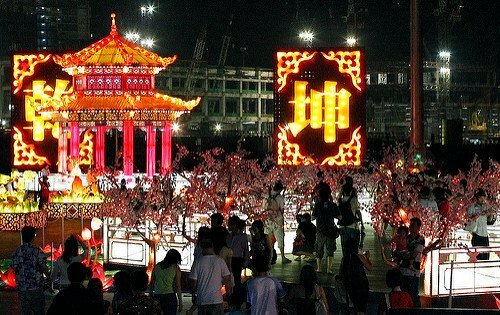 The celebrations culminate on the 15th day of the lunar calendar with the Lantern Festival. Singapore is a riot of colors and lights during the Chinese New Year festivities. You can soak it all up at the Chinatown Street Light Up where lively performances, lion dances, and bazaars complement fantastic decorations, colorful lanterns and stunning arrangements. Besides the events held in Chinatown, Lunar New Year highlights in Singapore also include the iconic River Hongbao Carnival, the Chingay Parade and of course the Fireworks. Chinatown is the epicenter of the celebrations with a fantastic Parade and Festival and a New Year's Day Firecracker Ceremony. 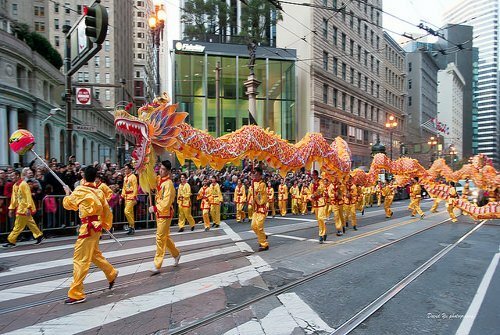 San Francisco's Golden Dragon Parade is the main draw of the celebrations which takes place on the first or second Saturday following Chinese New Year and is a favorite of children and adults alike. 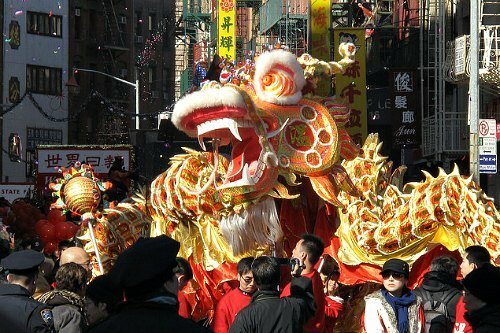 Marching bands, colorful floats, shiny lanterns, noisy firecrackers AND a majestic Golden Dragon draw millions of visitors to Chinatown's spring extravaganza! Other highlight events include the Flower Market Fair to prepare for the New Year and the community Street Fair which takes place on the same weekend of the Grand Parade. 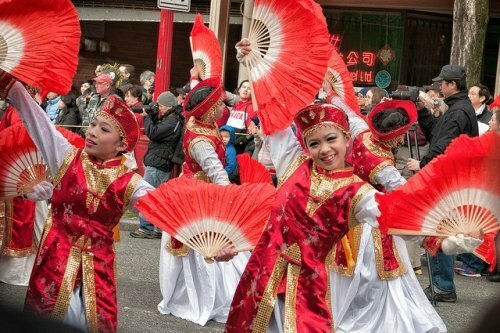 The Chinese community, the cities of Richmond and Vancouver, the business community and the various cultural organizations and sponsors come together to put on a series of magnificent celebrations and events to welcome the Lunar New Year in spectacular fashion. 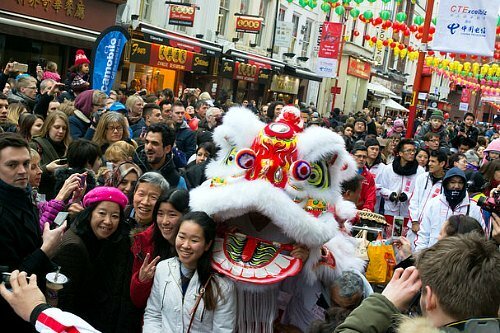 There is a fabulous Spring Festival Parade through the streets of Chinatown, lively street fairs and markets and dazzling cultural performances throughout the city where restaurants, shopping centers, cultural venues and libraries join in the celebrations. Our friends Down-Under celebrate in grand style. 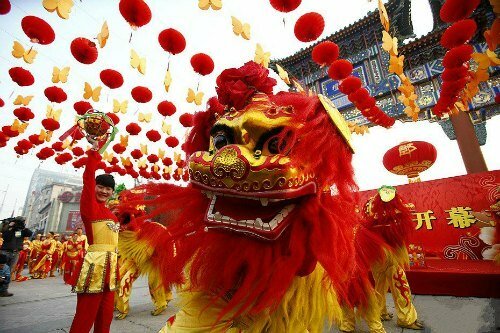 In fact, Chinese New Year is more than a celebration, it's a tradition that keeps getting better and better! Sydney celebrates with over 80 events across the city as the Opera House dresses in red for the occasion and bright colorful lanterns pop up all over the land. 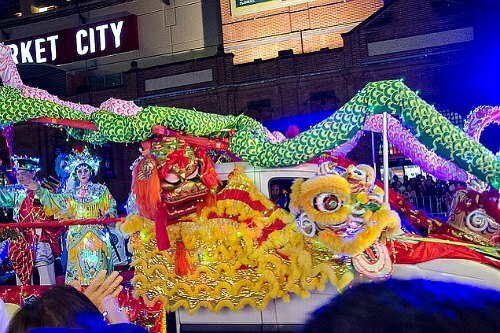 Sydney's Chinese New Year Festival is one of the biggest celebrations outside of China and runs for a couple of weeks after the New Year with Lunar Markets, Pop Up Food Festivals, Lion Dances, and even Dragon Boat Racing on the last weekend of the Festival! Other signature events include the Twilight Parade and of course the Fireworks over the Harbour. 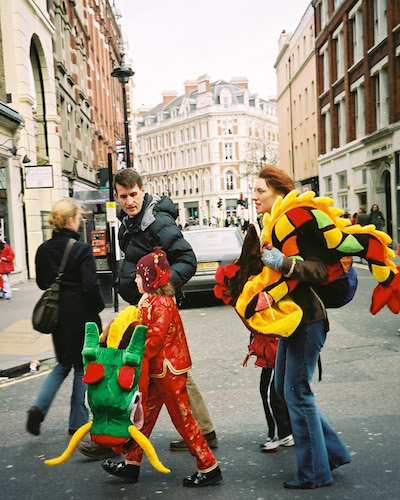 The celebrations in the English capital which take place all over Central London, the West End and Chinatown are the largest outside of Asia and the magnificent parade is the biggest dragon and lion procession in Europe. Chinese New Year in London is a flurry of colorful and energetic lions and dragons parading through the streets, crackling sounds of firecrackers, lively cultural performances, opera, kung fu, acrobats, craft markets and stalls and of course, this being a Chinese festival, food food food! 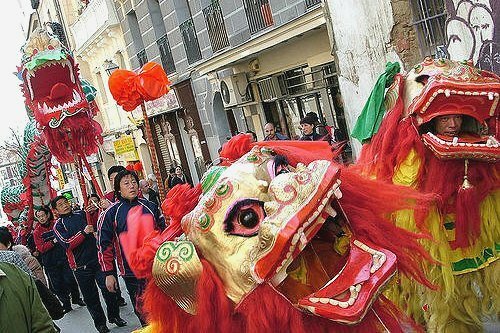 Celebrations of the Chinese New Year in Madrid include the parade from Puerta del Sol to Plaza de Espana, and the festival that includes performances and dances, Kung Fu exhibitions and a small Chinese crafts market. A good celebration is not far from you, come and share your celebrations with us. We, and I'm sure all our visitors, would love to learn how others are celebrating the festivities, and whether they can also take part in a celebration nearby. It's easy to share, just fill out the following form! Chinese Festivities are celebrated all over the world. Share with us how you celebrated in your home-town. Your Title, i.e. "Chinese New Year in Sydney"